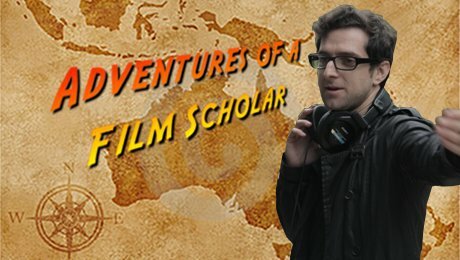 Welcome to “Adventures of a Film Scholar” video interview series. AFS is a discourse on independent filmmaking and film education. 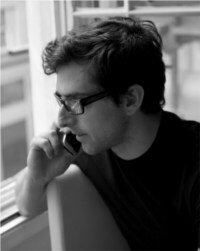 In each episode, Seth Jaret will have an international Skype chat with writer/director/film scholar, Darren Paul Fisher. Darren is an independent filmmaker (OXV: THe Manual, Popcorn, The Inbetweeners) and senior teaching fellow at Bond University, one of the premiere film programs in the world. Darren is also in post-production on his third feature. Join them as they discuss writing, directing, editing and the creative process of filmmaking balanced with a scholarly approach and educational perspective on various facets of the medium. Darren Paul Fisher is a film writer, director, producer and educator. Darren made his feature film debut writing, producing and directing the innovative micro-budget, Inbetweeners. Released by Universal, it became the first fully digital film ever to play the UK multiplexes. His second feature as writer/director, the teen romantic-comedy, Popcorn, was a modest international success. His third feature, The Manual, is currently in post-production. Written, directed and produced by Darren, it's described as the world’s first scientific-philosophical romance.